Founded in 1947, our customer is a long established local company, supplying a wide range of high quality premixed concrete and quarry products to the building and construction industry in Wagga Wagga and surrounding areas. 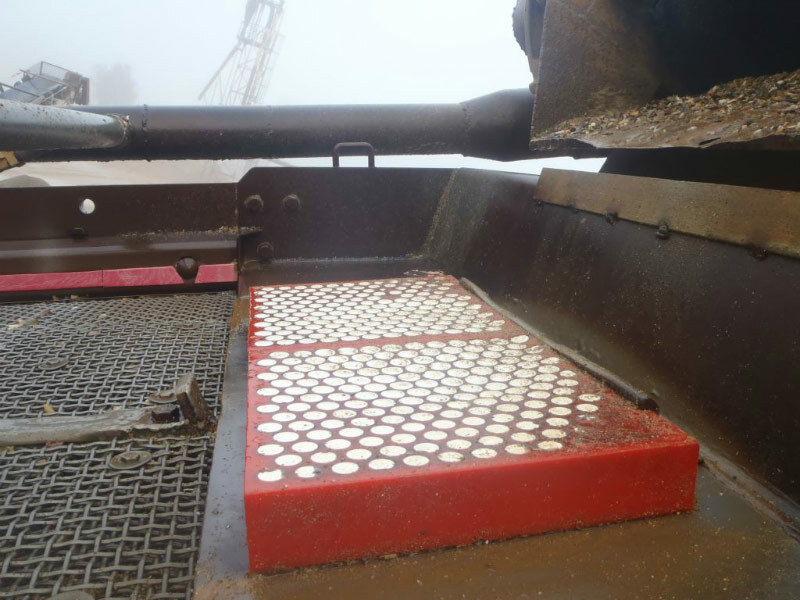 “Previously we had used hardened steel plating to line this impact area at the start of the screen load zone. We used steel because it has always been considered the toughest and best material to cope with the high abrasion levels caused by the high volume of rocks. “When the Kinder Australia Applications Engineers suggested that we try the K-Redi-Liner lining panels I was quite doubtful that they would be able to replace the steel plate. However straightaway I was impressed by how easy they were to bolt on – much quicker and needing less manpower than the steel plate. And the individual panels are very effective because they can be placed only in areas of high-wear with no modifications required.